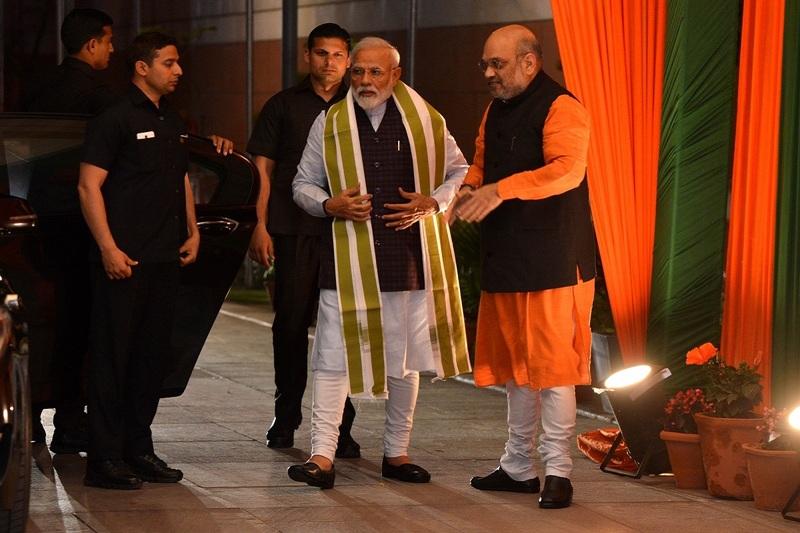 BJP’s much-publicised campaign against “dynastic politics” stands exposed in Bihar with the NDA liberally allotting tickets to the kin of several leaders. The move indeed sounds strange for a party which constantly had been attacking the Nehru-Gandhi and Lalu Prasad family for allegedly following dynasticism in politics. The NDA comprises the BJP, JD-U and LJP in Bihar. Of all, what attracted the attention of all was the way the LJP, a constituent of the BJP, kept as many as three party tickets within the family of Union Minister Ram Vilas Paswan. Although LJP chief Paswan himself is not been contesting elections this time, his party has given tickets to Pashupati Kumar Paras and Ram Chandra Paswan, both his own brothers. Another party ticket has gone to Chirag Paswan who is the son of Paswan. Chirag, who happens to be the LJP’s parliamentary board chairman, represents Jamui (reserved for SC/ST) seat in the Lok Sabha. Another LJP candidate for Nawada seat, Chandan Kumar, tells a similar story. Kumar is the brother of don-turned-politician Surajbhan Singh, a former parliamentarian now disqualified from contesting elections for his conviction in a murder case. This seat came to the LJP’s share after the JD-U staked claim over the Munger seat, currently represented by Veena Devi, wife of Surajbhan Singh. Initially, she was the main claimant for the party ticket but after suggestions from NDA leaders, Surajbhan ultimately settled for his brother. The BJP is no exception either. The party has fielded Ashok Kumar Yadav from Madhubani as its current MP Hukumdeo Narayan Yadav has crossed the party’s age bar of 75 years. But what is strange here is that BJP’s new candidate for this seat is not an outsider but the son of sitting Madhubani MP Hukumdeo Narayan Yadav who has held this seat for two consecutive terms. The same has been done in the case of Muzaffarpur seat. The present BJP candidate, Ajay Nishad, is the son of former party parliamentarian Captain Jai Narayan Nishad. Likewise, the BJP candidate for West Champaran seat, Dr Sanjay Jaisawal, is the son of former MP Dr Madan Prasad Jaisawal. The JD (U), headed by Chief Minister Nitish Kumar, on the other hand, has given the ticket to Kavita Singh who is the wife of muscleman Ajay Singh. She has been fielded from Siwan seat to take on RJD candidate Heena Sahab, who is the wife of jailed gangster Mohammad Shahabuddin. What is further interesting is that the NDA has kept the caste calculations in mind while allotting tickets to the candidates although it claims to be focusing on the politics of development. If the list of NDA candidates is any indication, it has given tickets to 13 candidates from upper castes, 12 candidates from the OBC community, seven candidates from extremely backward castes, six from the SC/ST community and only one candidate from the Muslim community. It is to be seen now to what extent this idea succeeds.